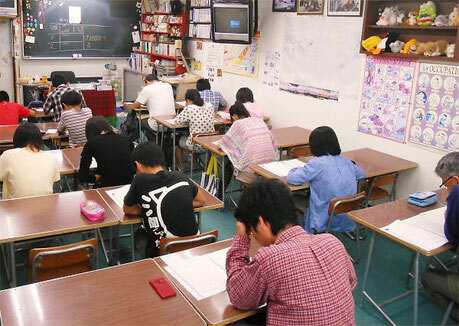 Under cold but splendid fall weather, “Eiken: English Testing by STEP: The Society for Testing English Proficiency, Inc.” (from the 5th to 2nd Eiken) was held on schedule on Sunday, October 13th. Different from Junior Eiken, this test is pass-fail one. This result is going to arrive at every examinee by around early in November. 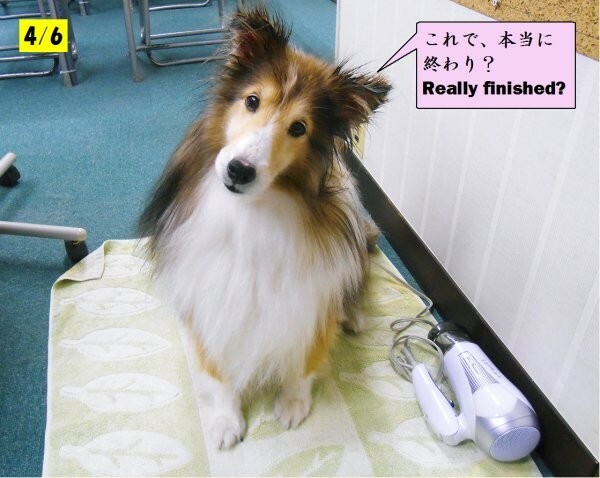 Please try to remember what Yoshy told you at “LL Speech Contest” last Sunday. “Failure teaches success.” … Regardless pass-fail, only such students could improve his/her command of practical English as he/she would find the mistakes and solution, which means failure should be always means for your next success! As Yoshy always tell every examinee, I am asking you who took this Eiken and brought your test-booklets to mark the check on the question you didn’t clearly understand. 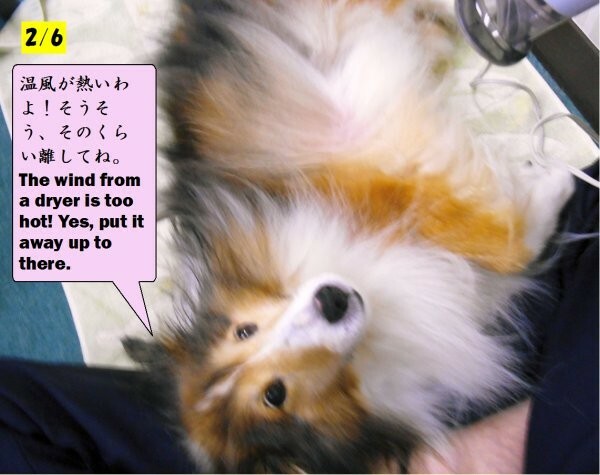 I am also asking you to bring it in order to ask Yoshy in your lessons. Yoshy is always waiting for your motivation like this. Every class of LL Shihoya Arai School is organized according to the level of proficiency, which means that your competitor is YOU! Every Sunday is Yoshy’s pet-dog, Erie’s bath day. 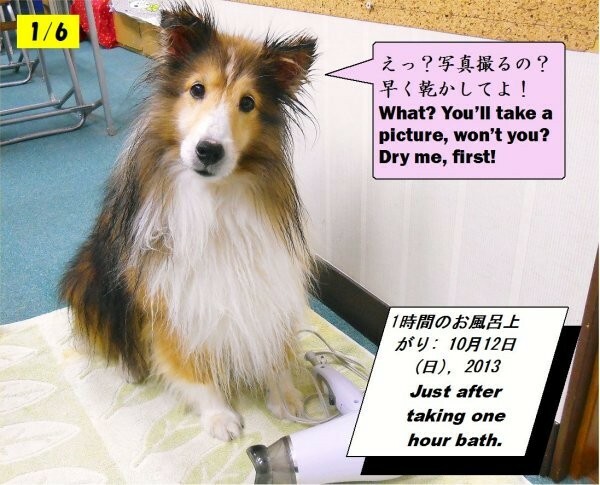 As I had already knew the date of Eiken, Erie and I were taking a bath together on the previous day, last Saturday, then I had her dried after taking a bath. I took pictures of Erie being all dolled up. Yoshy made these pictures six-frame cartoon. Due to the limited capacity of this blog, there are a few of all, excuse me.